Many of us have stopped listening to FM radio and have turned to Spotify, Apple Music and Soundcloud to get our music fix and find new artists. Here are some talented artists who are either already widely recognized or are on their way there you should check out. You might have heard Chelsea Cutler on tracks with people such as Louis the Child and other EDM artists. But now, Chelsea’s voice is standing on its own! She started as a producer at the young age of 17, debuting her own EPs! She just finished her Sleeping with Roses tour and is releasing Sleeping with Roses II on November 9th. She’s a force to be reckoned with and is definitely an artist to check out! The 24-year-old, Chicago native’s music resonates with old school hip hop lovers as well as the new rap scene. 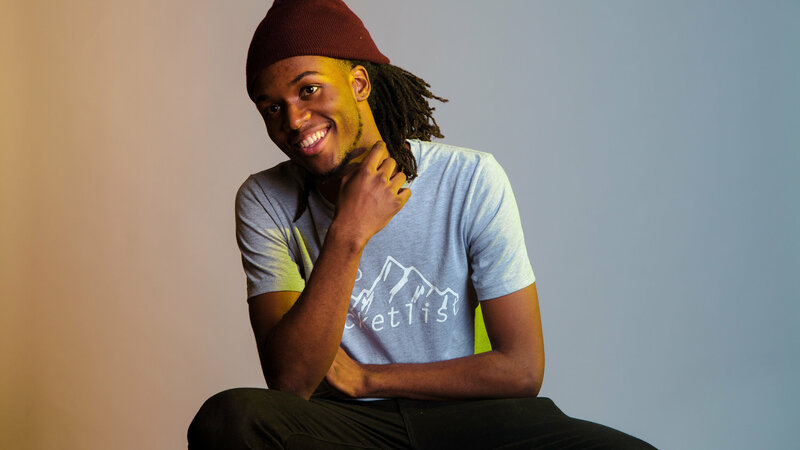 Collaborating with artists like Smino and NoName and appearing on “Angels” by Chance the Rapper has already given Saba the credibility that he deserves. If you’re free on November 15th, I highly encourage you check out his show in The Hub! IDK (Ignorantly Delivering Knowledge) aka Jason Mills, is using his voice to reiterate the teachings of artists like 2Pac, Nas, and A Tribe Called Quest while also putting a flare on his work that resonates with lovers of today’s rap scene. He is currently on his Very Bad Run tour which ends in Dublin on December 18th. He’s been covered in the hip-hop magazine XXL and has performed with the likes of ASAP Ferg and Denzel Curry. You might recognize his name from the Flognaw lineup. Shane Blanchard aka Bane’s World has a sound that is described as melodic and jazzy. He has the support of many popular artists, Tyler the Creator being one of them! He’s from Long Beach, CA and says he doesn’t plan on leaving the area anytime soon. Fun fact: He performed at UCSB in May of last year. Make sure to check out “You Say I’m in Love” when you get a chance (it’s one of my favorites)! Although they aren’t from the States, the Paper Kites are gaining recognition in places other than their home of Melbourne, Australia. Formed in 2010, this indie-rock band has over 3 million monthly listeners and over a quarter million followers. Although they don’t seem to be incredibly popular yet, their lush, synth-based sound is unique and worth a listen! Sonder is made up of producers Atu and Dpat with Brent Faiyaz on lead vocals. Brent Faiyaz’s solo career is really starting to pick up and he is bringing his group up with him. They released their single, “One Night Only” earlier this year and it’s definitely worth checking out! If you’re looking for calm, melodic, sleepy time music, look no further. Bahamas has a sound that gives chills. He just released his new album “Earthtones” and is currently on tour in Canada. If you’re a sucker for a good electric guitar rift like myself, do yourself a favor and listen to “All the Time.” Sheer talent, I promise. We all know this guy: he has a voice that could turn any gathering into a party. His ranting and deep voice creates a very strong sound that really is unique to listen to. If you don’t think you know who Sheck Wes is, check out “Mo Bamba,” I’m positive you’ve heard it without realizing it. Most of you have probably heard this powerhouse of a voice. But if you haven’t, just know she isn’t on this list by accident. At 16, Billie Eilish is taking the music scene by storm and selling out shows left and right. Her single, “Ocean Eyes” was streamed on Spotify over 132 million times as of October 2018 and she doesn’t seem to be slowing down. She just released “When the Party’s Over” and is working on new music. MorMor is probably the most lowkey of this entire list. The Toronto native pretty much does everything himself: he writes, produces, and sings his own songs. That isn’t something you see often nowadays. His music is now attracting fans from Japan, Nigeria, Denmark, Australia and more. If you’re into Tame Impala or The Weeknd, you’re in for a treat. Of course, there are many more artists who deserve recognition and are incredibly talented. But, hopefully listening to these artists can pave the way to discovering other amazing artists. Listening to the mainstream stuff can get old and it’s also pretty cool to listen to what your favorite artists are listening to. Not all of them are listening to your typical radio bops. Happy listening!